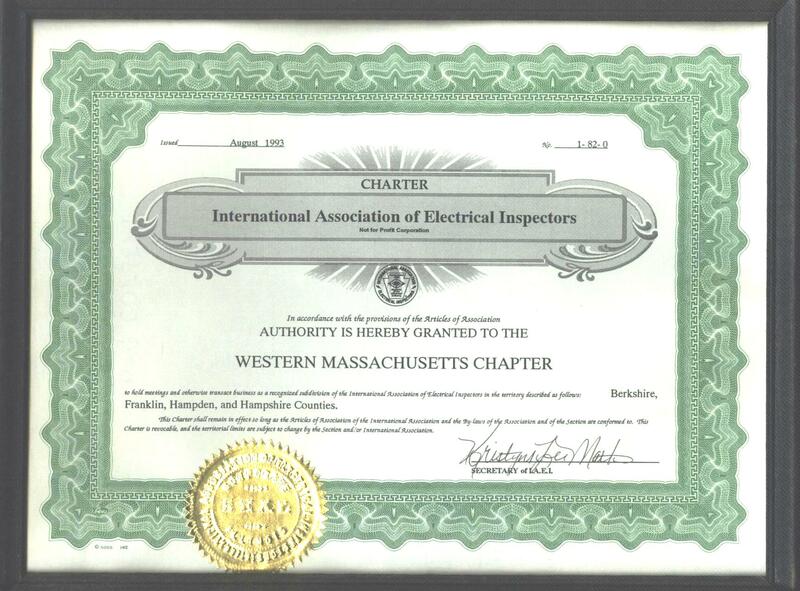 The Western Mass Chapter of IAEI Chartered in August of 1993. The Western Mass Chapter serves the Berkshire, Franklin, Hampden and Hampshire counties of Massachusetts. Meetings are held at the Greek Cultural Center in Springfield. More information on meetings and the club can be found on both the About Us Page as well as the Meetings page. Or feel free to visit the Contact Us page and send up an email so we can answer any questions you may have! All are welcome. If you have an interest in Electrical Code Compliance, Electrical Safety, or Protecting Life and Property then this Association is for you.